If General Electric's Dividend Isn't Safe, Why Hold the Stock? General Electric Co. (GE - Get Report) is poised to miss first-quarter earnings and the Boston-based industrial conglomerate's dividend isn't safe, a Cowen analyst said Wednesday in a research note. "We expect the upcoming accounting restatement and [first-quarter] print to continue to pressure this 'show me' stock," analyst Gautam Khanna wrote. "We don't believe the $0.48 per year dividend is safe unless 'contract assets' convert to cash on a net basis, and/or the power market rebounds sharply and soon." 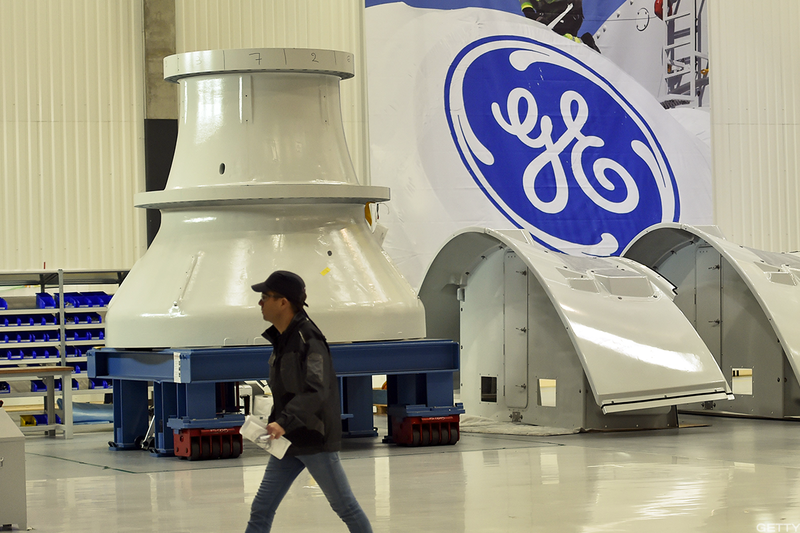 The analyst added that a first-quarter earnings-per-share miss "appears probable," as lower pricing and falling turbine deliveries will likely hinder profits at GE's power unit. Khanna now estimates earnings at 8 cents per share for the first period vs. the 12-cent consensus that most analysts are expecting. He maintained his "Market Perform" rating on GE, but cut the struggling stock's price target to $12 a share from a previous $15. GE fell 0.6% to $12.96 as of about 1 p.m. New York time. Since the start of the year, GE stock has tumbled about 25%. GE Chief Financial Officer Jamie Miller said in February that the company views 2018 as a "reset and stabilization year" for its power unit. "We are really rightsizing our supply chain operation there, both in the core equipment side and the parts side," Miller continued. GE announced in December that it would be cutting 12,000 jobs in its power division as part of its plan to reduce structural costs by $1 billion. Ge has previously said that 2018 will be a "reset and stabilization year" for its power business. The industrial conglomerate also disclosed in February that it will recast its 2016 and 2017 financial statements to comply with the new revenue recognitional accounting standard. GE plans to provide recast financial information by April 13. While Cowen's Khanna wrote that the restatement is, in theory, a benign event, "it may be a negative if it raises GE's costs to borrow. GE will remain reliant on short-term credit markets in 2018, which makes the restatement and any related borrowing-cost impact worthy of monitoring." GE declined to comment. TheStreet's Jim Cramer said Wednesday that "I think it's up to [CEO John] Flannery to start making General Electric report like the rest of the other companies, and I think the numbers will be dramatically lower." GE is scheduled to report its first-quarter financial results before the opening bell on April 20. Earnings are expected to be 12 cents per share on revenue of $27.09 billion, according to analysts surveyed by FactSet.